As 2015 draws to a close it’s time to look ahead to 2016 and think about what kind of ‘runs’ we would like to participate in and consider what ’hurdles’ might have to be overcome during 2016. The successful Monday zither groups will be ‘running’ during 2016 and, as in 2015, will alternate between daytime and evening groups throughout the year, except school & public holidays, however we will be moving to bigger premises! 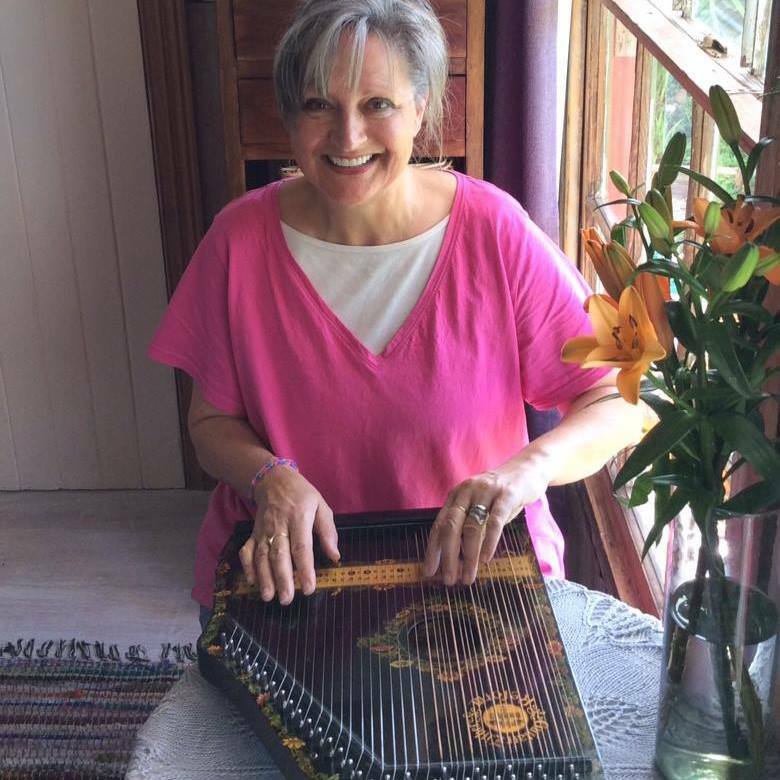 As of the 1st of February 2016, the Monday zither groups will be ‘running’ at The Anglican Church Hall, cnr Sladen & Beal Streets, Birregurra, just a block or so uphill from our cottage. The times will remain the same - 2pm-3:30pm and 7pm-8:30pm respectively. We will start with a daytime group on February the 1st which means the 1st evening group will be on Monday, the 8th of February. The 2016 fee for zither group attendance is $10. The 2016 start date for existing Zither Group of the Air members will also be the 1st of February and will then run continuously throughout the year. This growing popularity and the zithers' age have inadvertently turned into a ‘hurdle’ during 2015, as it has become difficult to source them. The restoration department (my husband) and I developed a 2 pronged approach to overcome this ‘hurdle’. 1. We will continue to source the antique zithers, but include all styles and sizes, re-stringing and modifying them to suit the Running with Zithers tune-sheets. This will result in some very unique zithers indeed. 2. I’m currently in negotiations with the zither builder www.akkordzither.de, who built my big zither, to design and build a ‘Running with Zithers’ zither, exclusively for us. This brand new zither will be suitable for all our tune sheets and will be available on order in the New Year. It will include a number of modifications not available on the antique ones, like a built in tuner, major and minor chords and a light under the strings to eliminate shadows of the strings on your tune-sheets. Prices are not settled yet, but are expected to compare with the price of a quality guitar. The weekly availability of the Church Hall also provides the opportunity to hold one-on-one music & instrumental lessons. We will be offering private music & instrumental lessons for all ages, following the Australian Music Examination Board’s syllabus. Whether you choose to sit the exams for each level is entirely up to you, but you will be given the opportunity to do so. During these lessons you will be taken through music theory and you will learn to read music. Zither – using a chromatic melody zither. This will teach you to play the zither without tune-sheets. Voice, Violin, Brass and Blues Harmonica. We will endeavour to expand the repertoire throughout the year. More mobile zither runs, which are zither workshops that come to you, are also planned for 2016. To have one in your neighbourhood, all you need is a minimum of 6 participants and a table big enough to comfortably seat everyone and we will bring our zither group to you. Two of these workshops are already booked to be held at the 2016 Easter Arts At The Homestead at Tarndwarncoort, Warncoort, Victoria. The goal is to hold at least 1 mobile workshop per school term and 1 in each of the school holidays of the year. Finally, our support for Playing For Change will also continue in 2016. A portion of your zither & tune-sheet costs during 2016 will pay for a 1 year music scholarship at one of the 9 Playing For Change music schools. It remains for me to thank you for your enthusiasm and support during 2015 and I look forward to 2016 being filled with the sounds of zithers.